Try the rich and smooth coffee full of real dark chocolate flavor that is sure to satisfy your taste for the best. Dig into Grizzly Bear and enjoy the decadent taste you crave and the boldness you need. 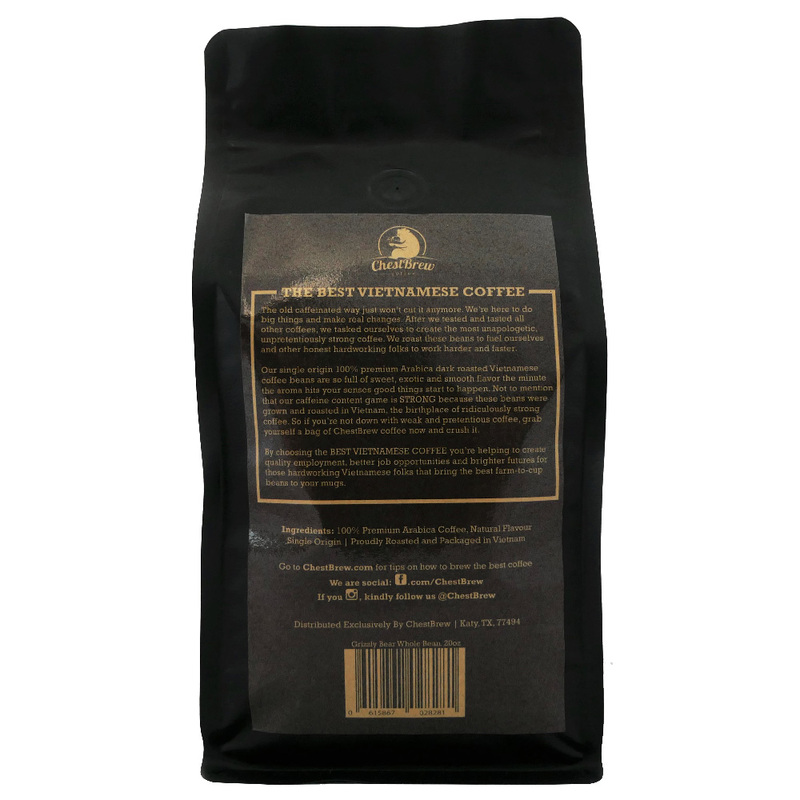 Up your COFFEE GAME with the only single origin premium Arabica coffee beans from Vietnam. Enjoy every sip of the STRONGEST, smoothest and exotic full flavor Vietnamese coffee. Crafted to be BEST BEANS for Cold Brew Coffee, Vietnamese Iced Coffee or Hot Brew. 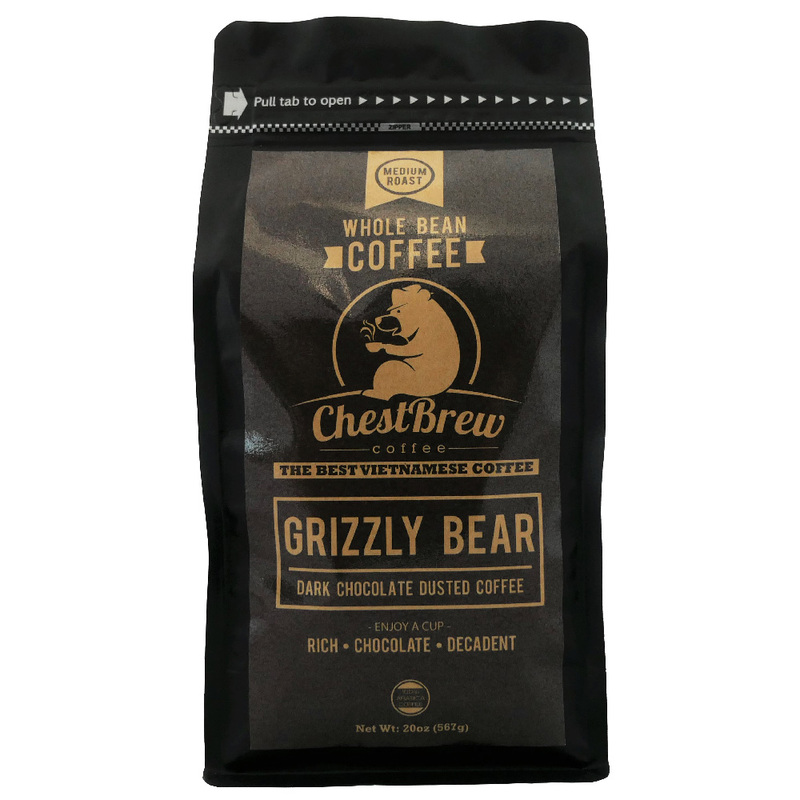 Our Grizzly Bear single origin, premium coffee beans offer a medium roasted Vietnamese coffee. Our coffee is the cleanest coffee you’ll find because we use ZERO artificial chemicals, ZERO man made preservatives and ZERO bogus caffeine fillers in our products. We use 100% pure cacao powder to dust our Grizzly Bear coffee beans. It’s real flavor for real coffee lovers. Every bag of ChestBrew coffee is full of only the best beans that are inspected before and after the roasting process to guarantee proper roast shade, bean quality and taste profile. 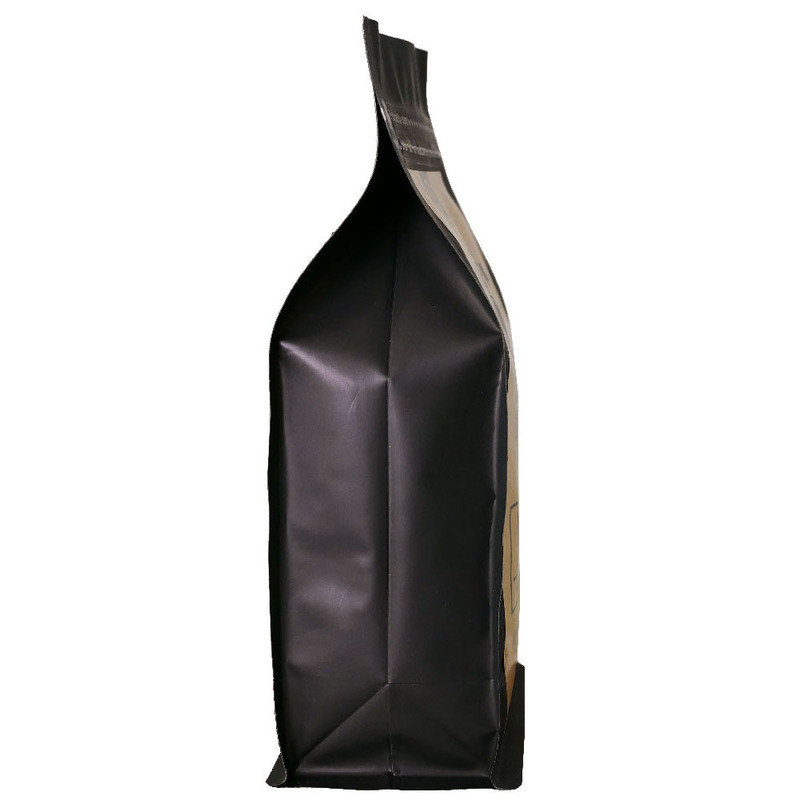 Our coffee is packaged in a distinctly designed bag to guarantee freshness.